Wouldn’t it be great if you could hop on your bike in Athens and ride for miles without having to worry about traffic? We think so, too. That’s why we’re stoked about The Firefly Trail, a developing greenway in our own backyard. More than just a trail, Firefly is connecting communities in North Georgia by providing residents with an outlet for safe, healthy, and eco-friendly recreation. But that’s not all. Trails like Firefly have proven successful when it comes to stimulating local economies by enhancing vitality and opportunities for commercial development and tourism. 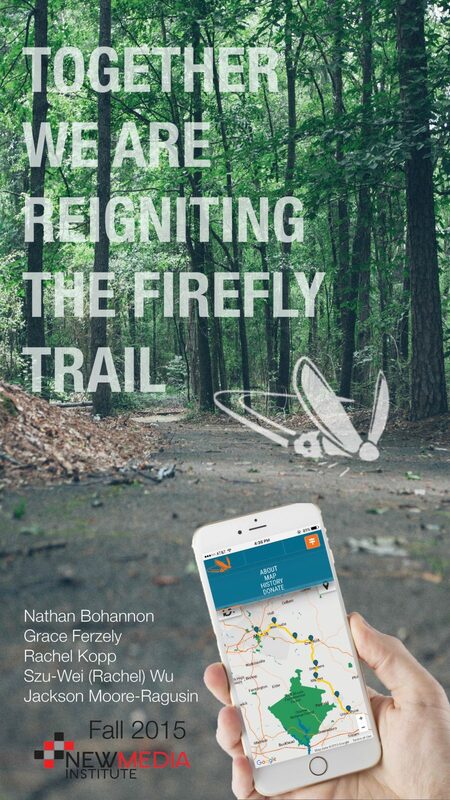 Unfortunately, a lot of folks don’t know about the Firefly Trail. This lack of awareness and financial support makes it challenging for the trail reach its full potential. Here at Team Firefly, we address these issues and offer a simple solution: rebranding. To do this, we’ve taken advantage of new media resources to create a new and improved website, social media strategy, e-newsletter, and crowdfunding campaign, all with the hope of building a brand that gets the word out in our community and gains financial support for the trail.